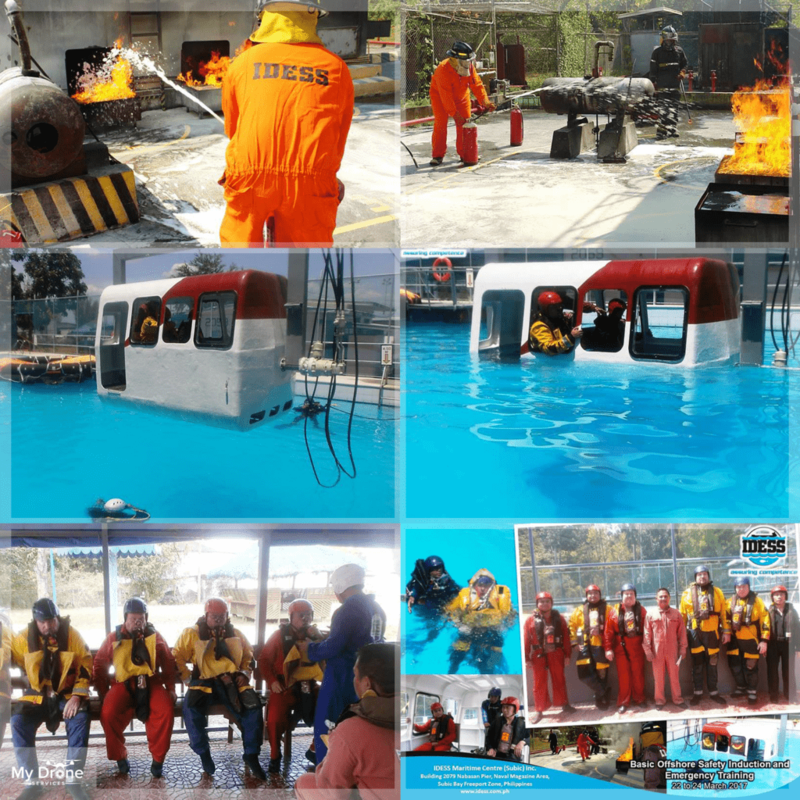 Subic Bay Freeport Zone – My Drone Services Corp.’s CEO Bryce Mitchell, together with Brandon Harris, Technical Manager, took part and enrolled in IDESS Maritime Centre’s course – Basic Offshore Safety Induction and Emergency Training (BOSIET), in Nabasan Pier Naval Magazine Area, Subic Bay Freeport Zone on March 22-24, 2017, to fully arm their knowledge on the recommended safety trainings when performing offshore works. MAGALLANES, DAVAO CITY – Bryce Mitchell, President of My Drone Services Corp. and Retired Col. Noli Morales, Chief Pilot, met with the President of the Chamber of Commerce, Capt. Ronald C. Go and Lt. Gen. Rey Leonardo Guerrero, Commander of the Eastern Mindanao Command AFP, and Police Chief Supt. Manuel Gaerlan, Regional Director of the Philippine National Police Region XI at the meeting on May 26, 2017, Friday. CEBU HARBOR, CEBU CITY – My Drone Services Corp., President and CEO, Bryce Mitchell, together with Chief Pilot, Col. Manuel Morales, took off May 08, 2017, Monday, for Cebu Port Authority to conduct a drone flight.